1955 I was born as Mordehay in Israel and brought up as a true Sabra. My father walked to Jerusalem all the way from Benghazi Libya 1941 during the II World War. My mother escaped the iron curtain from Rumania 1951 immediately after Israel War of Independence. I studied in a Jewish religious school, my father is religious and my Mom as a Holocaust survivor became atheist, our soil is soaked by the blood of millions of innocent people killed in the name of God, so you can understand my complicated relation with God. My Bar Mitzvah ceremony at Masada had a very strong impact on me, as on many other kids in Israel at that time. My father took me to the mountain and made me swear that “Second Masada Shall Not Fall“, which means that I should defend my country with my life, and if the case comes and I’m surrounded by my enemies I should do what Masada Zealots did ( suicide) ! 18 years old I joined the I.D.F with the slogan of Trumpeldor, die on action 1920, on my lips “It Is Good to Die for My Country”. During my basic training my name was changed to Moti as Mordehay is to long. July 73 I finished my basic training and I was sworn to I.D.F at the top of Masada using same words as in my Bar Mitzvah “Second Masada Shall Not Fall“, and the myth of Masada became part of me and it gave me an enormous strength just few month later when I became the youngest soldier that fought at Yom Kippur War 1973. In the war I saw the death staring at me more then once and I was laughing to it, as an Israeli I learned to fear nobody. This is how my father and my country prepared me to my unavoidable war, and I was not yet 19 years old. I fought well, I saw my Brothers In Arms being killed and injured and I had to kill as well. Just a day before the war ended I was the luckiest member of my team when we where hit, I was the only one that rejoined the military after I recover from my injoury and finally achieved the rank of Major. I still do military reserve service as a volunteer. Since the peace process with Egypt start 1977 I was against it and I demonstrate (as a civilian) against PM Menachem Begin who shacked the hand of our Egyptian enemy. 1981 I left the army and Israel as I could not understand why my brothers in arms had to die for Sinai and now we are giving it a way. 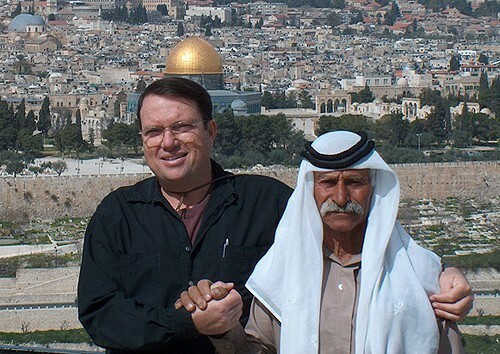 Ten years I traveled the globe and visited many countries, to finally understand that, for me, there is no other place on earth except Israel. Meanwhile and after seeing and traveling so much, also in Arab countries, I changed my political view and become a soldier of peace. I adopted a new hero, an Arab, a Muslim, a previous enemy of mine – the late Egyptian president Muhammad Anwar al Sadat, who sacrificed himself on the path to peace and open my eyes to understand that the future can be only peace. Today I’m father to :Shira, born in 1980, and Boaz, born in 1997. I live in Mevaseret Zion, on the west outskirts of Jerusalem, and I love to be the gardener . 1994, I become a licensed tour guide after 6 month intensive training as a tour guide by the Ministry of Tourism. 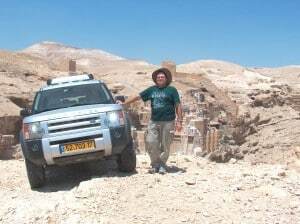 Since 1997, I have been operating under a special permit from the Israeli Ministry of Transportation as a private guide in Israel with a tour car. I have turned my traveling hobby into my business, and it is really a pleasure to show my clients, who after just a few hours become my guests and friends, the real truth about my country, Israel, and the path to peace, we strive to walk on, and my beautiful city of Jerusalem. 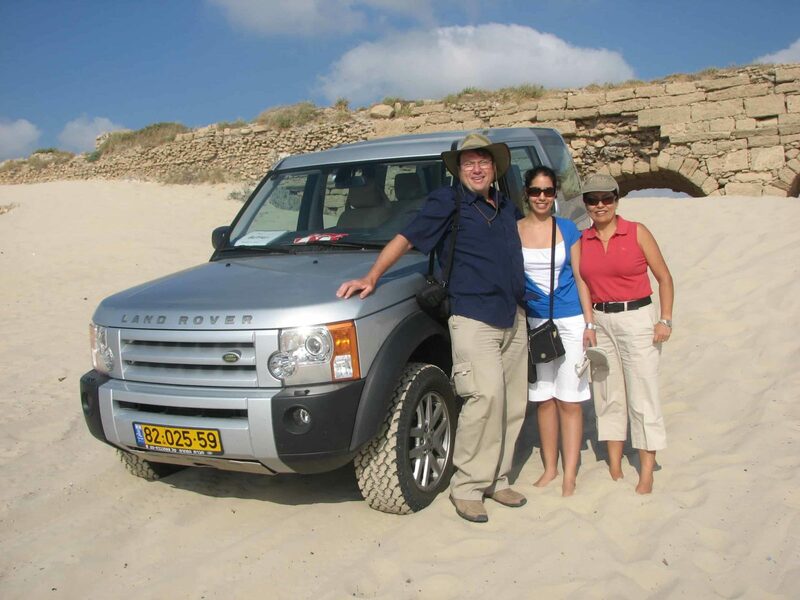 Private Guide Israel is my business name. When I came back to Israel I choose to live in the region I love the most – The Judean Desert. I settled in a unique place called Mezokey Dragot, which till today I believe that it is the most beautiful place in the world, on The Cliff Nature Reserve over looking theDead Sea. I specialized in Desert Safari tours. October 2000, when the Palestinian riots “Intefada” spread all over Israel, the General of the center command blocked the Judean Desert for tourism. I appealed 3 times to the Supreme Court and I lost. Today the Judean desert is open for tourism again since 2006. I was forced to leave Mezokey Dragot and my Desert Tours and I came to Jerusalem with my family, I study 4 years at Yad Ben Zvi Institute, Jerusalem studies and today Jerusalem is my city and my expertise. I love off the beaten track tours and I do it where ever I can even on the paved roads of Jerusalem. More then everything I love crossing the border to our neighboring countries which once where our enemies. I highly recommend you to take advantage when you visit Israel to visit Petra Jordan and Egypt as well. My business name Private Guide Israel.